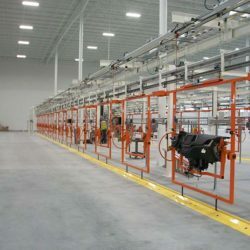 With complex assembly and production lines that include stop/start workstations, varying speeds and continuous motion in the same line, meeting TAKT time requirements often becomes a challenge. 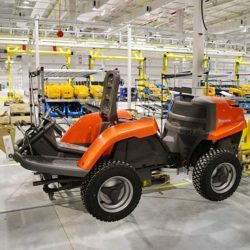 Zone control, enabled by VFDs and gear box ratio changes, provide varying speeds and speed changes between workstations and high transfer speeds around corners to help decrease TAKT time. 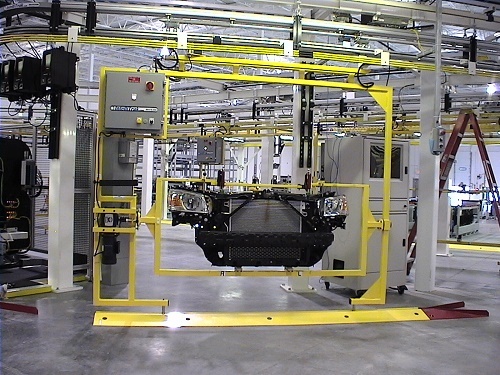 Tier 1 Automotive supplier adds new vehicle line, expands system, saves money. 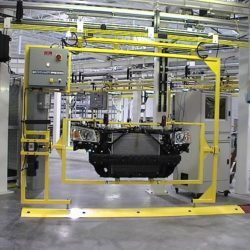 Manufacturer of large LCD displays, using a manual line for assembly, needed a more efficient and ergonomic solution with greater flexibility and quality control. 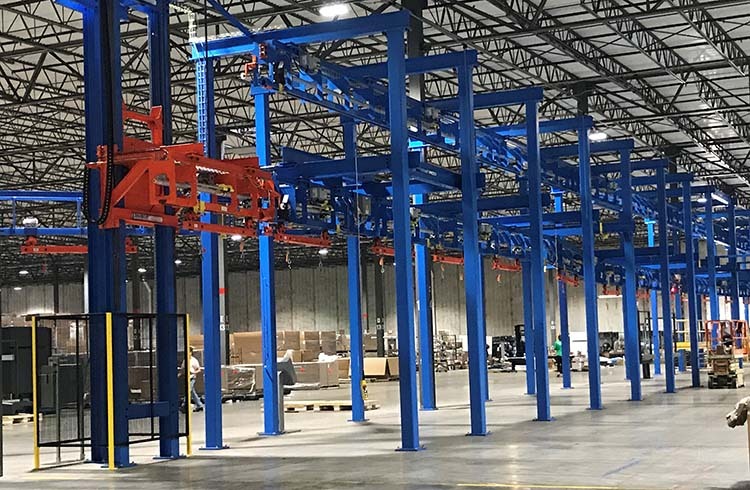 IntelliTrak’s engineers custom-designed a 1500 Series Overhead Conveyor with vertical lifts on each end (for empty carrier return overhead), 14 workstations, incline for ergonomic assembly, a quality control workstation and spur for rework. 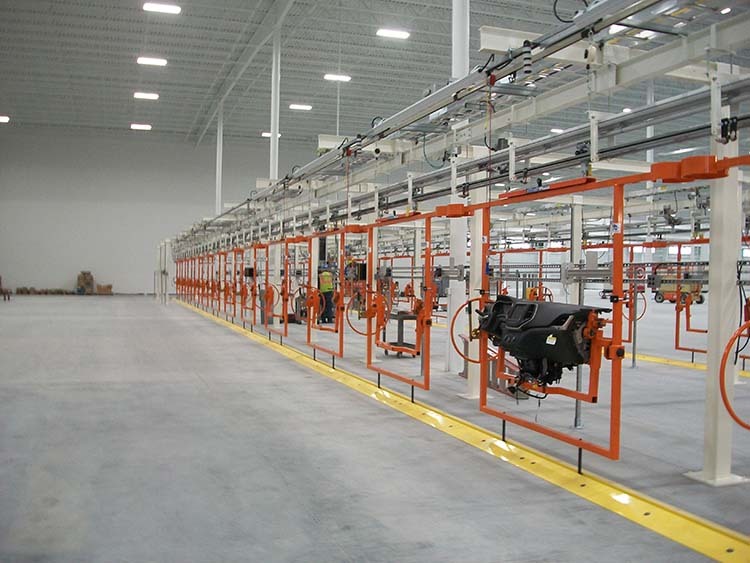 Forward/reverse capabilities and zone control gave the customer the flexibility they needed. And the chainless friction drive provided the clean work environment—an important factor when working with highly sensitive LCD controls. 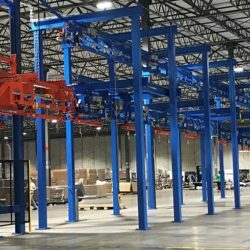 An IntelliTrak 500 Series Overhead Conveyor with 32 workstations, an unloading station, testing cabinet and quality control station for rework. 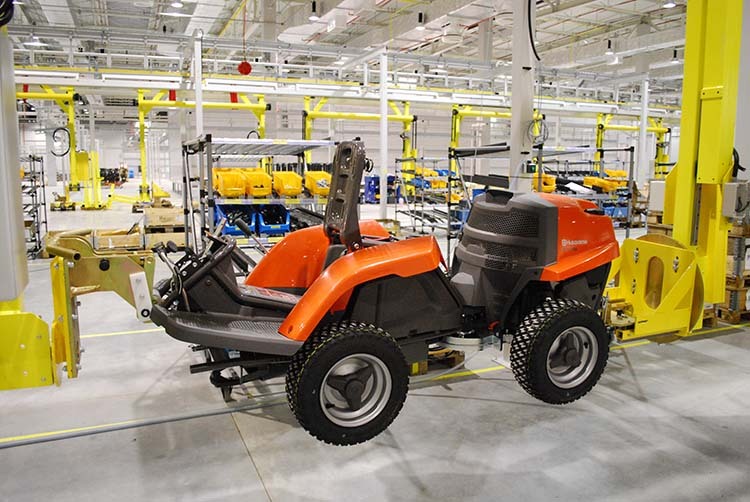 Customized product carriers allowed for ergonomic assembly, making it easier for operators to raise, lower and rotate the product. Forward/reverse capabilities and zone control provided the flexibility for performance testing and rework zones.